One of my favorite things about summertime is all of the fruits and berries that come into season. Not only are they sweet & ripe, but since they are also plentiful so you can usually pick them up for a pretty good price too. Though I am pretty much a huge fan of all the summertime fruits and berries, I think that I most look forward to strawberry season each summer. But strawberry season & those low prices only last so long. My solution to that little predicament? 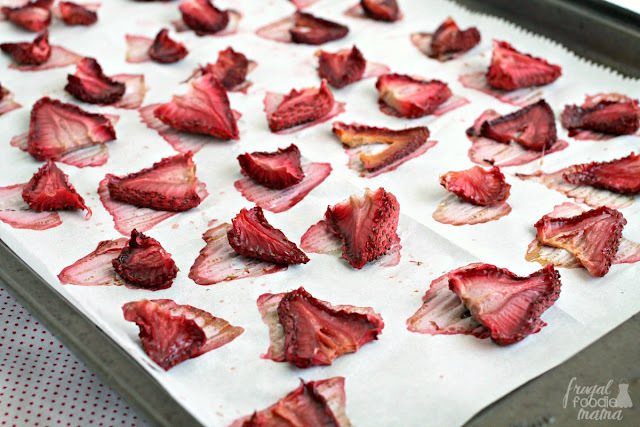 Picking up an extra pint at the store or farmers market each week and oven drying those babies to preserve some of those sweet summer strawberries just a little longer. So why oven dry your strawberries at home versus just picking up a bag of dried strawberries at the store? For starters, it is MUCH cheaper to make your own dried strawberries at home. Have you seen the prices on a tiny bag of store bought strawberries?? 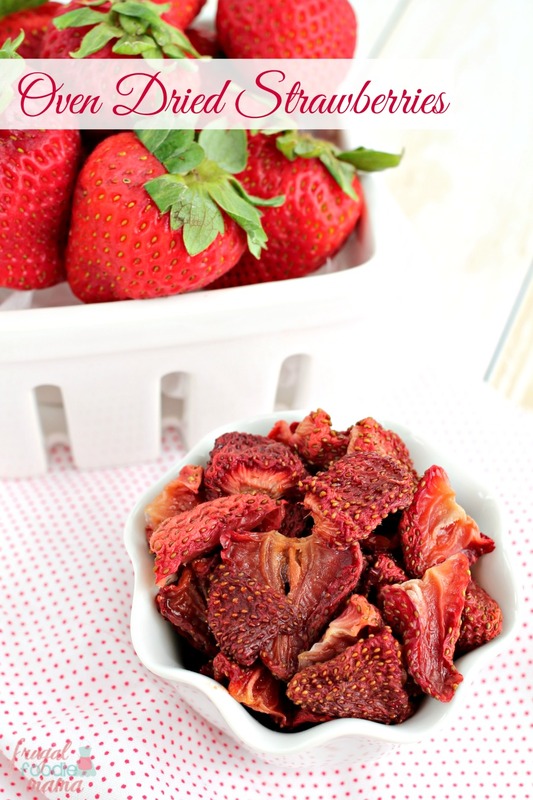 Another reason is because I know exactly what is going into my dried strawberries when I make them at home. 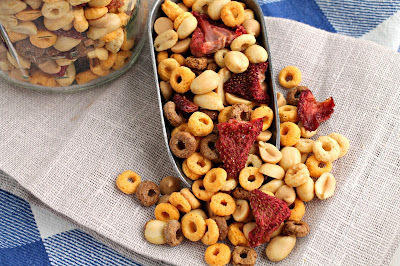 Most often store bought dried strawberries contain a bunch of unpronounceable preservatives and unnecessary added sugar. Preheat your oven to 200 degrees. Line a large baking sheet with parchment paper. 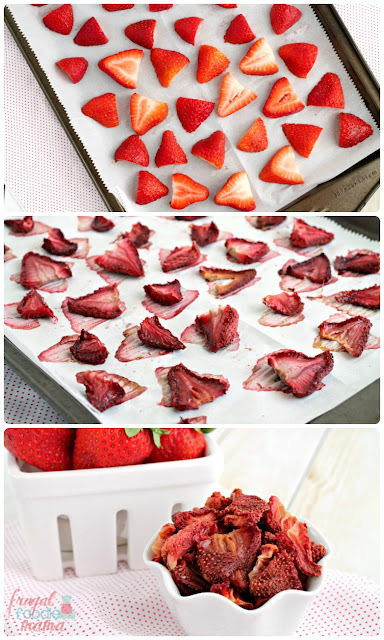 Place the strawberry slices in the oven & let them bake & dry for 2 hours. Take them out of the oven, flip them and then bake an additional 2-3 hours or until sufficiently dried. Allow to cool completely, and then transfer to an airtight container. 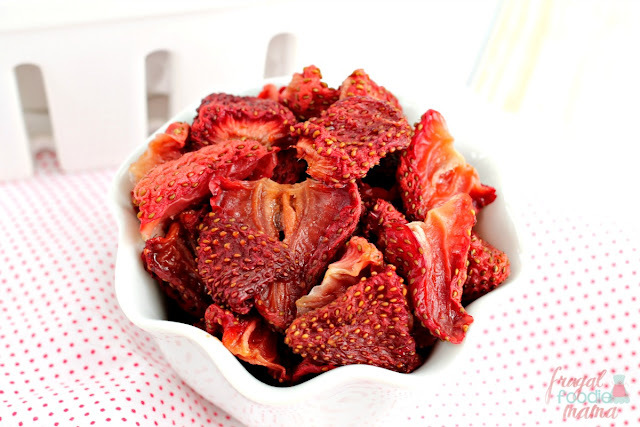 Since there are no preservatives in these dried strawberries, they are best consumed within 5 days. 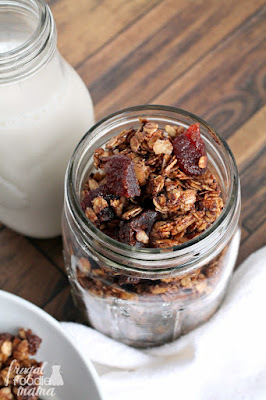 Snack on these oven dried strawberries as is, add them to your favorite granola or trail mix, or throw them into a bowl of cereal or over yogurt.